Use these when fitting into an 072 curve. The turnout side is exactly equal to one pc of 072 track. (16 per circle). Or to get a siding to a specific area. 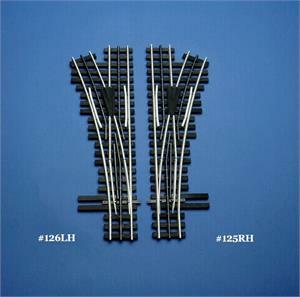 These are NOT a good idea to use as a crossover because of the resulting S curve between tracks. 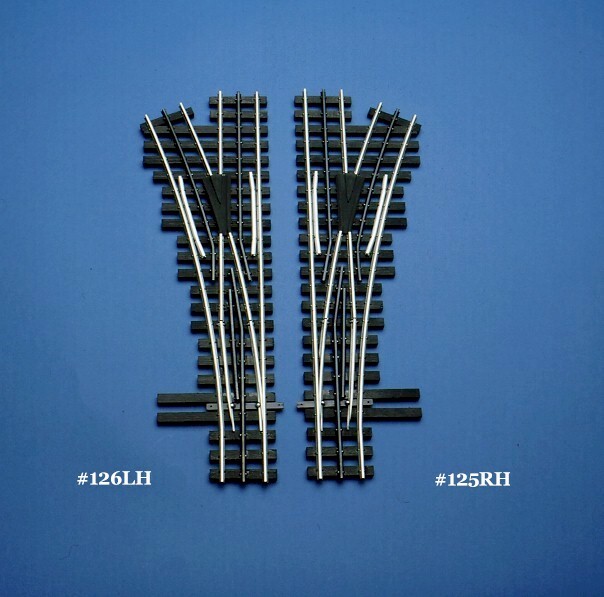 Use our #100, #101 #210,#211, #220, #221, #250, #251 switches for crossovers.